This program is NOT intended for veterans who have submitted or plan to submit an application for an actual trip with Honor Flight Dayton. 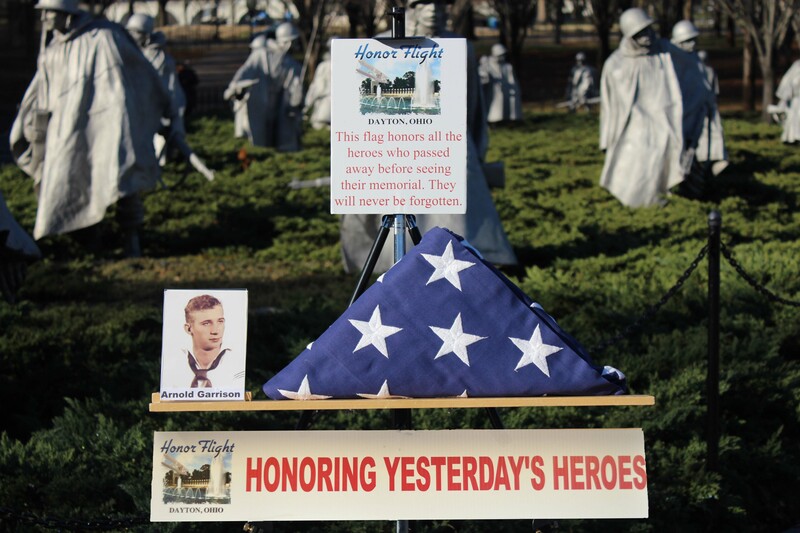 In addition to escorting WWII, Korean, Vietnam era and terminally-ill veterans from any war to Washington, DC, Honor Flight Dayton also proudly honors (1) deceased veterans who were unable to see their memorials and (2) living veterans who are no longer able to travel to see their memorial. We accomplish this through a program identified as Honoring Yesterday’s Heroes. If you are interested in honoring a veteran, please click HERE for the Honoring Yesterday’s Heroes “Request Form”. Email this form, along with a photo (suggest “jpeg” format) of the Veteran, preferably while in the service, to the e-mail address below. If you don’t have the capability to submit electronically (preferred method), submit the form and a “5×7” photo to the mailing address below. 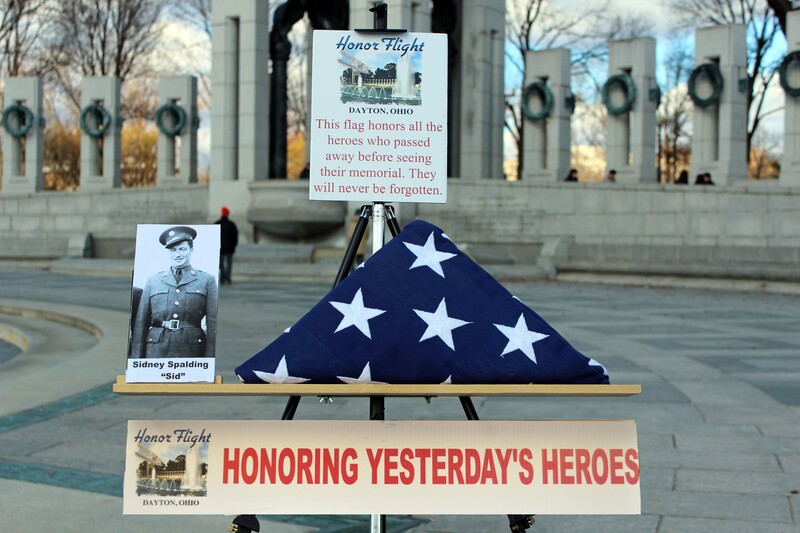 Once received, we will bring the veteran’s photo with us during our next scheduled Honor Flight trip to Washington DC. 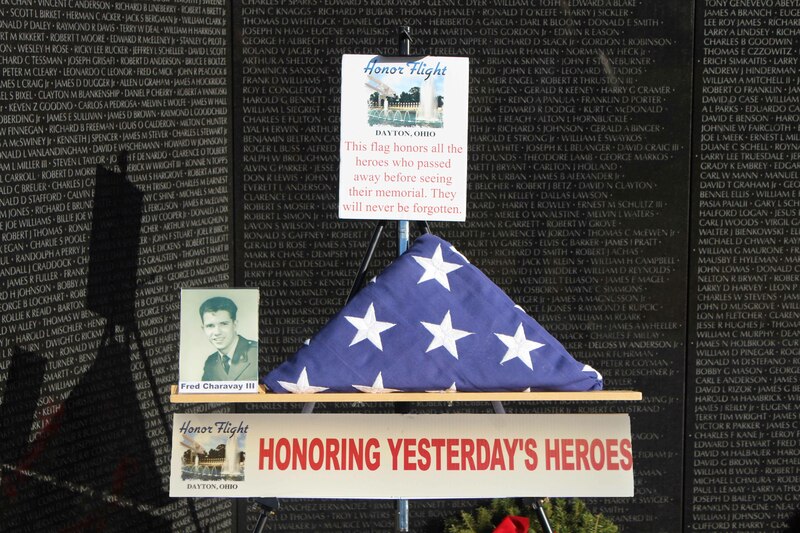 While there, we will photograph the veteran’s picture alongside a folded flag with the appropriate memorial in the background. 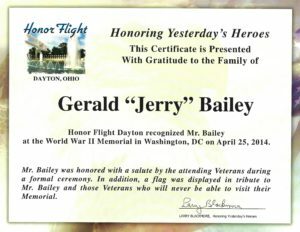 After the trip, the family will receive an “8×10” color photo and a certificate from Honor Flight Dayton honoring their veteran. The original photo will also be returned at this time. Honor Flight Dayton is proud to offer this free program enabling families to honor their veterans. Honoring Yesterday’s Heroes is just another way Honor Flight Dayton enables families to pay tribute to those Veterans who gave us our freedom that we enjoy today.